Considering the sun is finally making more appearances, it meant (for me!) 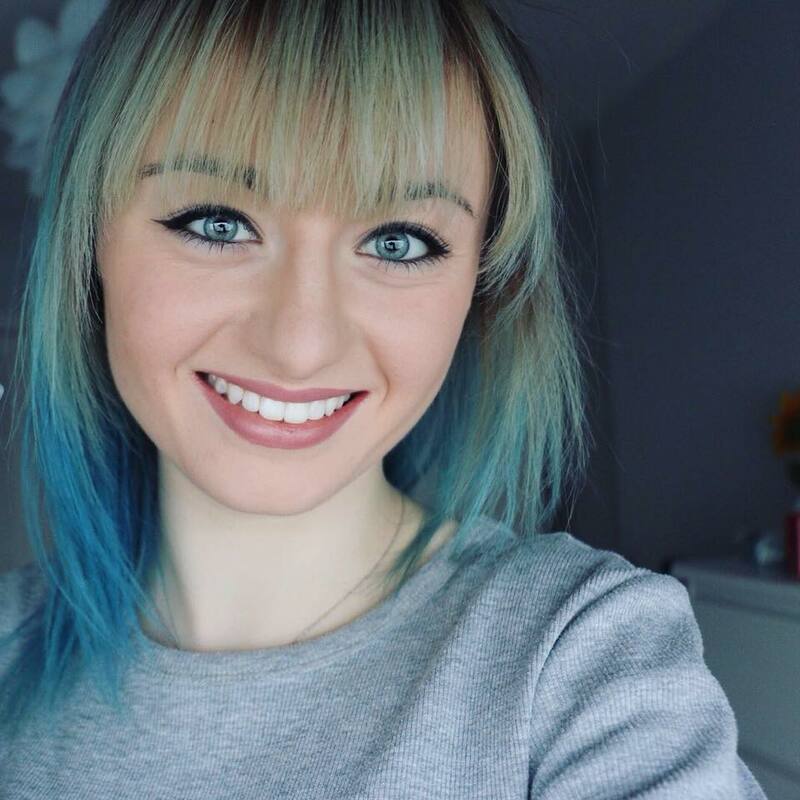 it was time to haul out the lighter, brighter colours! 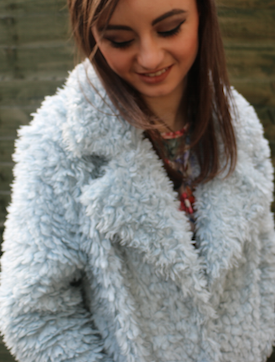 This outfit also includes my big blue teddybear coat that was a firm January favourite! Unfortunately, no-one available at the time to take the photos for me so I had to just make do with what I had...that being a tripod, DSLR and a green fence. Beautiful. Therefore I do apologies for the crappy-ness. 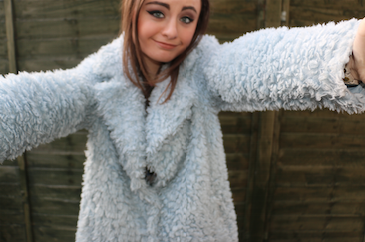 I love this coat so much as you can probably guess that it is so cosy and warm, even on they extremely cold days! Plus, if I got a pound for every person who hugged me...I would be able to buy more coats like this one! Have you made a wee change in your wardrobe for spring yet?